I’ve loved pearl barley ever since I was a child. My mother would make an amazing sweet winter soup called haboub (translates to grains I think). My mother’s recipe includes pearl barley, chickpeas, sugar, aniseed, fennel and water. After she had filled our bowls, we’d sprinkle a little desiccated coconut on top and gobble up with delight. I would go for seconds, at times even thirds, depending on how much I could squeeze in after dinner. 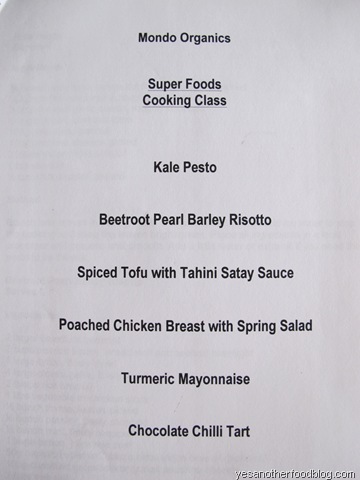 Since then, I hadn’t come across pearl barley until my recent cooking class on superfoods. When I saw pearl barley on the menu, it instantly brought back memories of the cold Sydney winter, flannel pajamas and warm bowls of haboub. However, this dish was savoury as opposed to sweet. I couldn’t wait to learn how to make it and taste it of course. After the first mouthful, I saw myself making it often. 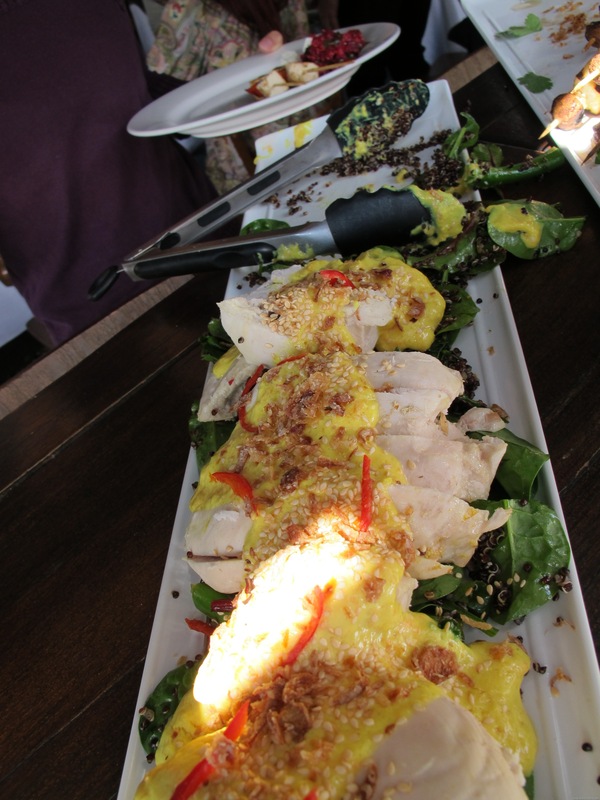 When the first opportunity to show off my fresh knowledge on superfoods arrived, this dish made it onto the menu. A small portion was served as dish number five out of a seven course dinner. My diner, a recent beetroot convert was very pleased with the result and so was I.
Pearl barley is an interesting grain and very versatile. It can be served cold in a salad or warm in a soup. However, I’m stuck on the idea of using it like aborio rice and following a risotto theme. I used it just a few days ago. Again, in the same way, only this time with mushroom stock, re-hydrated mushrooms, gai lan and hard tofu. I thought it was delicious but am still wondering whether its worthy of a post. Should the next pearl barley post be dedicated to haboub or the asian-style risotto, preference anyone? Care to share your favourite pearl barley recipe? I look forward to it! When the beetroots are cool enough to handle, peel skin, then grate or blitz in a food processor and set aside. Reserve one beetroot and cut into chunks. In a heavy pot, melt butter, add olive oil and then saute onion until translucent. Add pearly barley and cook for a few minutes on medium heat. 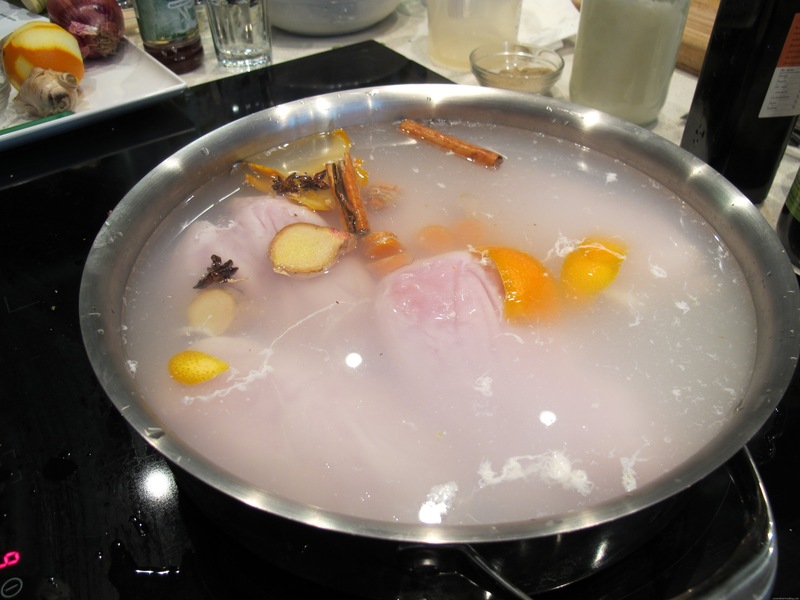 Drop to a simmer, then add stock gradually stirring occasionally to make sure it doesn’t stick to the base. It should take about 30 minutes to cook the pearl barley. 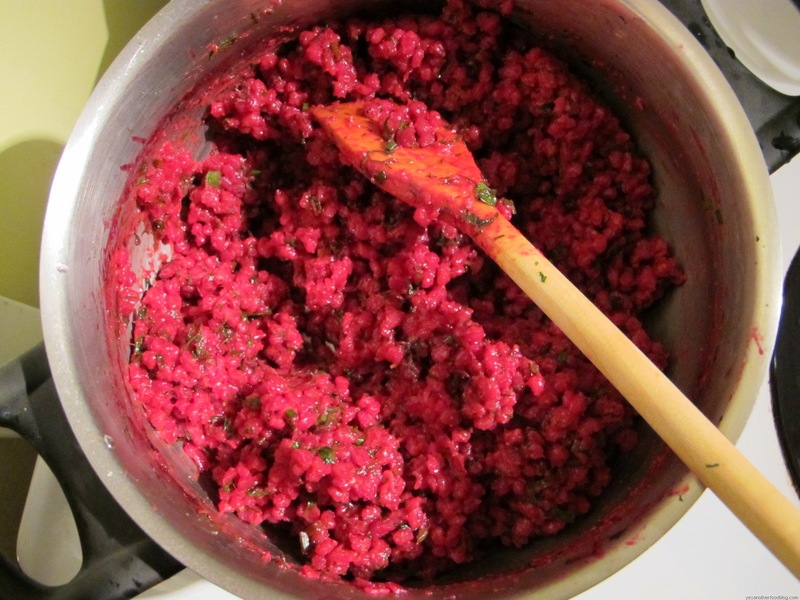 Add beetroot and combine with pearly barley. Then add parsley and dill, season to taste. If the risotto is too thick, add a little more butter or stock. 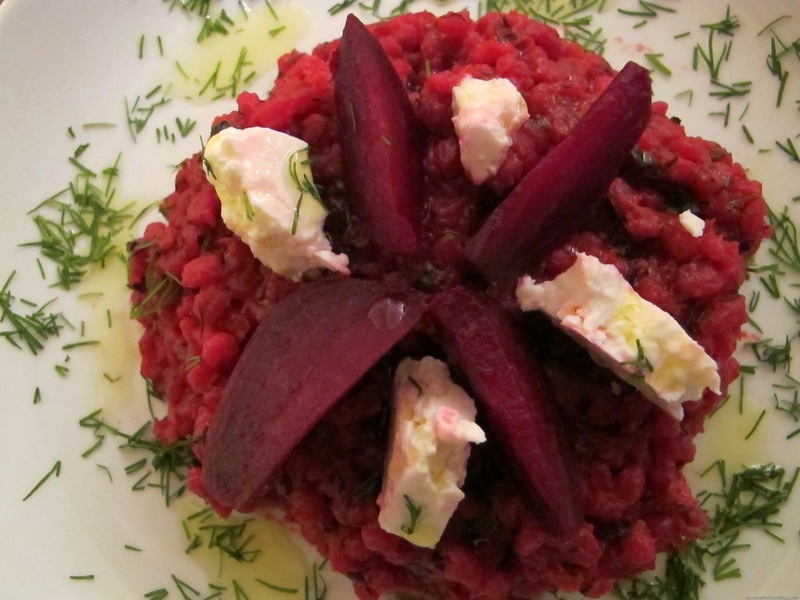 Serve with fetta, a few chunks of beetroot, garnish with extra dill and a little olive oil. Recently, I spent last the 2 weeks of summer in Vancouver. Whilst I did get to savor some amazing food at several restaurants, I also had that one chance, to put my skills to the test and baptize a new kitchen. A friend of mine had told me about a 5 course dinner that he had cooked to woo his girlfriend. I had to go one step further and cook an elaborate 7 course dinner. I have never cooked something so elaborate before and never in a kitchen I am unfamiliar with, but then I was not going to let that daunt me. I love challenges! Leading up to the big day, I’d sourced enough ingredients to make 5 courses but needed to decide on another 2. Fortunately, two nights prior, I’d been watching an amazing documentary Step Up To the Plate. It provided plenty of inspiration, but in no way was it going to turn me into a 3 star Michelin chef overnight! I still needed 2 more entrees. I narrowed it down to dishes which I thought would be hearty but not the stuff-you-silly kind. Soup it was. Besides, it was miserable outside, summer was coming to an end and rain, wind, cold was setting in. 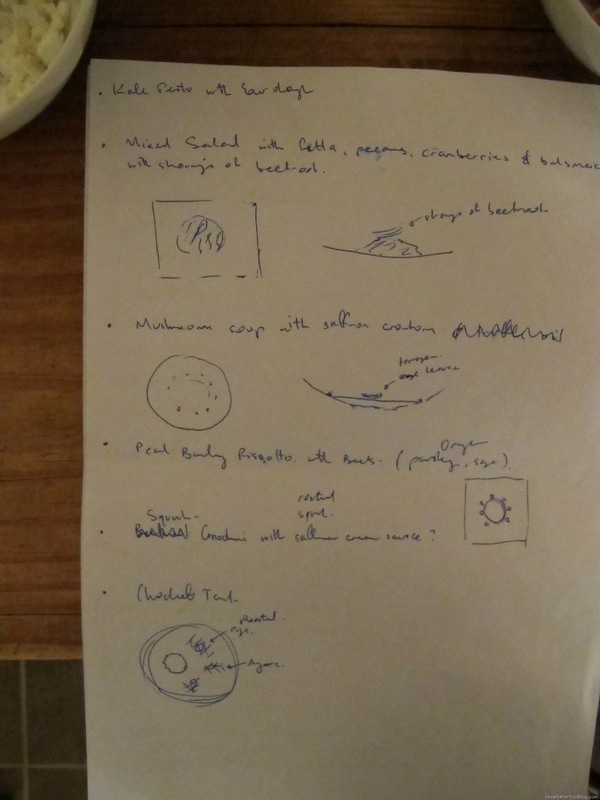 Some of the dishes I made up, others I drew on inspiration and from participation at the Mondo Organics cooking class. Detailed recipes to follow. 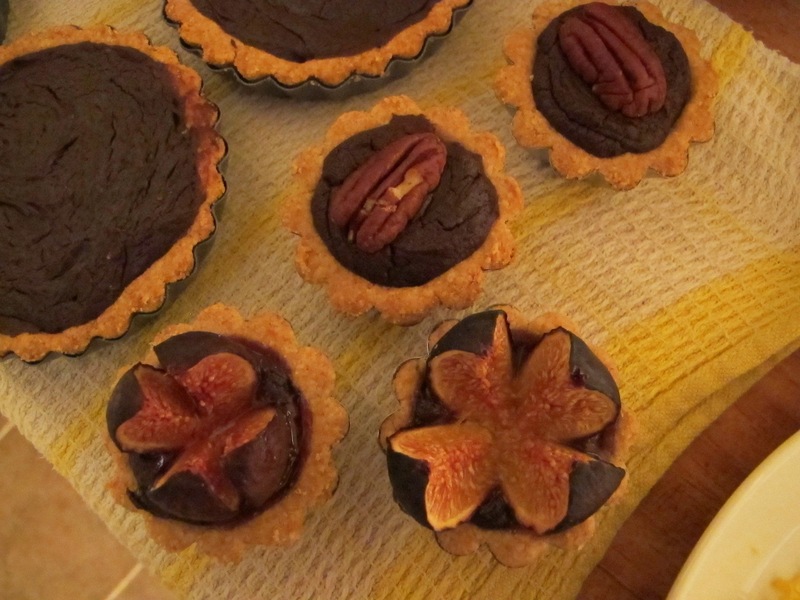 Back to school…cooking school that is! I’ve liked to cook since I was a child. My father would always be shouting from the garage for his never to be found assistant. I would be perched up high on a kitchen stool trying to help or at least watch my mother cook. The garage just didn’t excite me and brought no joy to my curious taste buds or ever rumbling stomach. Since then my love for cooking has never faded, only grown into a serious passion. Nowadays, I’m no longer satisfied with the basics and have had a need to go beyond the ordinary. 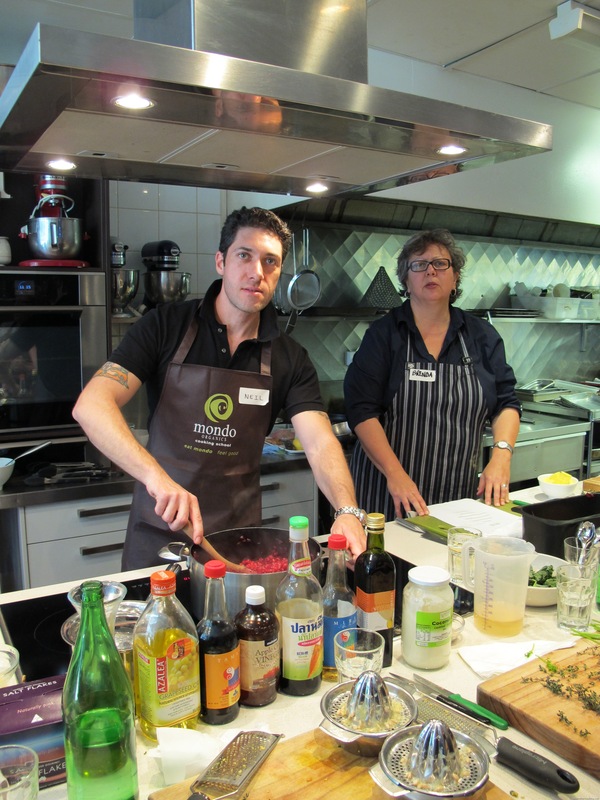 So last Saturday, I checked myself into Mondo Organics Cooking School in West End, Brisbane. I’d found out about the cooking school after dining at the adjacent Mondo Organics restaurant in June, earlier this year. The cuisine was exquisite yet unpretentious. And yes, everything was organic (there is a difference I can assure you). I’m not sure whether it was the duck or the deconstructed pumpkin cake that prompted me to pickup the cooking school flyer; either way, I’m glad I did! Saturday morning was manic. It began with groceries, then flattening chickens and smothering them with my special Portuguese marinade. An evening barbecue was on the cards. I finally made the dash to the car only to discover that the battery was dead. Next best option was my bike. 20 minutes later I was over the hill at Mondo: with a glass of water, name tag and playing introductions with about 12 other students. After all the students had arrived, we marched into the school. My dawdling landed me in pole position, right next to the chef. Whilst daunting at first, it didn’t take me long before I was enjoying the bird’s-eye view of Chef Brenda Fawdon working her magic. 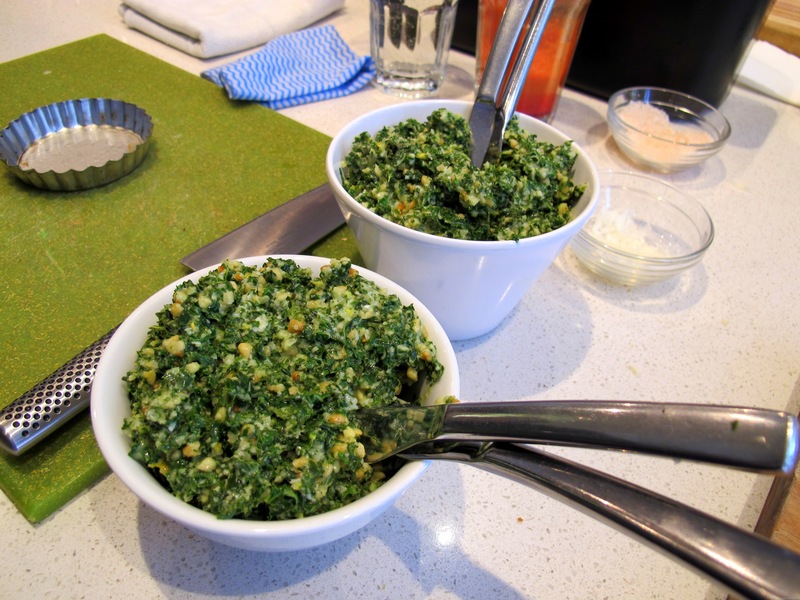 I was like a lap dog, eager to please: chopping onions, whizzing up pesto and stirring risotto. So what are Super Foods? 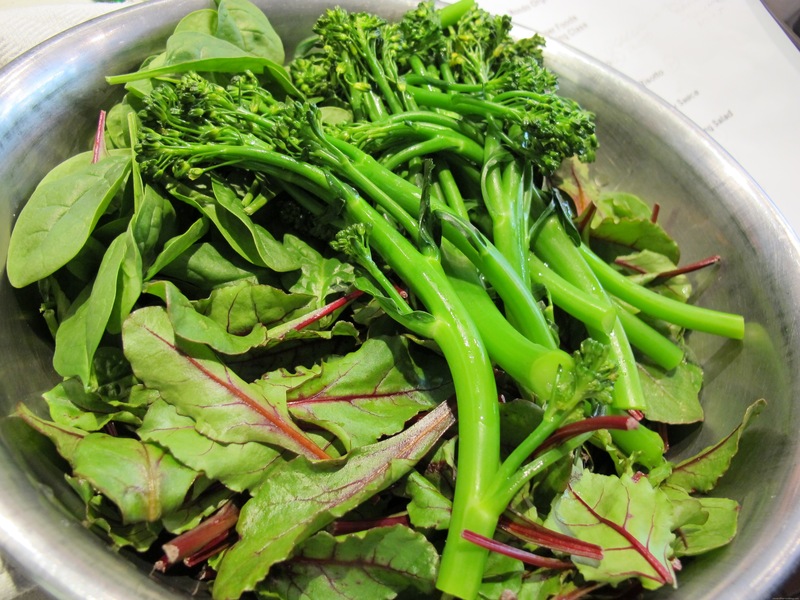 They are foods that are rich in antioxidants, vitamins, minerals, essential fatty acids and other nutrients. 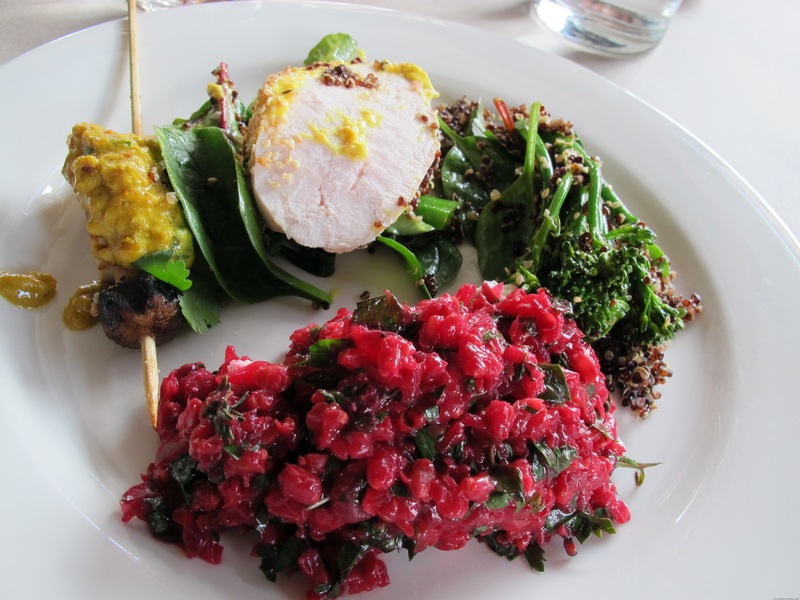 Some examples include pearl barley, quinoa, kale, turmeric, nuts, acai and cacao to name a few. In addition to having incredible health benefits, they’re usually unique in taste, texture and appearance. What goes on in a 3 hour Super Foods class? Besides learning how to use Super Foods, there are cooking tips like how to: make garlic paste using only a knife, chop onion (safely), poach chicken and blind bake. But that’s not all. You get to interact with fellow foodies and ask loads of questions to debunk myths or misconceptions. Then you finish off by chowing on everything that you’d prepared. 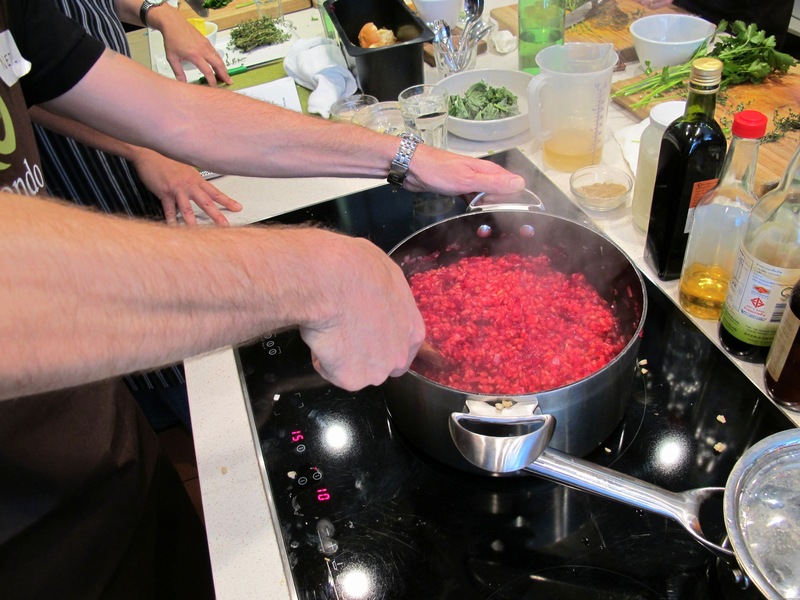 Have you attended a cooking class before or are thinking of taking one? Chances are that you won’t regret it, would definitely learn something new from it and if all else fails; go home nourished by a restaurant quality meal. 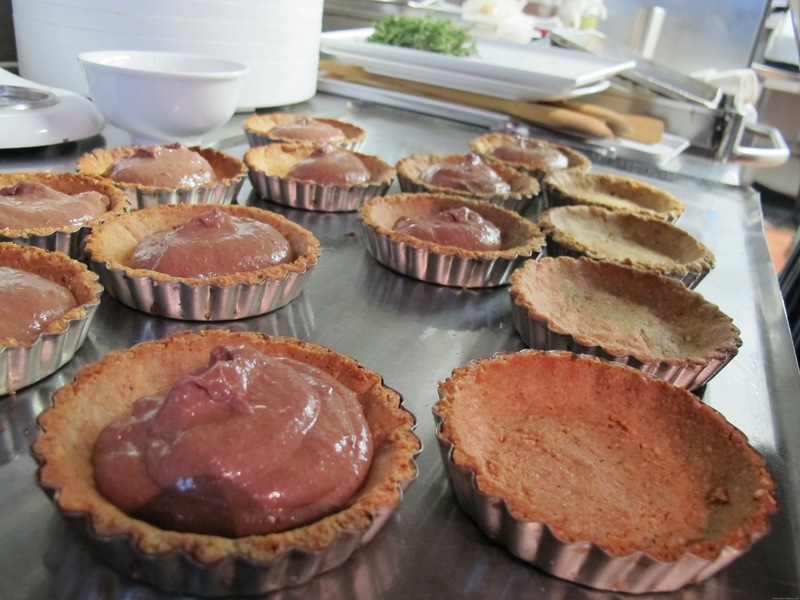 There are classes about baking, bread, barbequing, pasta making, desserts, chocolate and even express meals in minutes. The list is endless and the number of schools are on the rise. Pecorino Cheese – did you know that it comes from an island called Sardinia off the salami and prosciutto coast of Italy where the locals are predominantly vegetarian? This hard cheese is made from ewe’s milk, has a mild taste, is slightly salty and melts nicely. Tofu – is not bad! There are several types which can be used to complement meat dishes or as a stand alone protein for both vegetarians and non-vegetarians alike. In my opinion, Tofu is underrated and can be incorporated or used as a substitute for many thick and creamy ingredients like mascarpone, double cream and mayonnaise (with only a fraction of the fat and same creamy texture). Who attends such classes? Wives, mothers, daughters, sons, couples, foodies, amateur cooks, orienteering champions, herbivores, carnivores, basically anyone with an interest in food or cooking.